Tuesday the 20th of January is supposed to be a big deal, at least so I am told by my lunar minded friends. 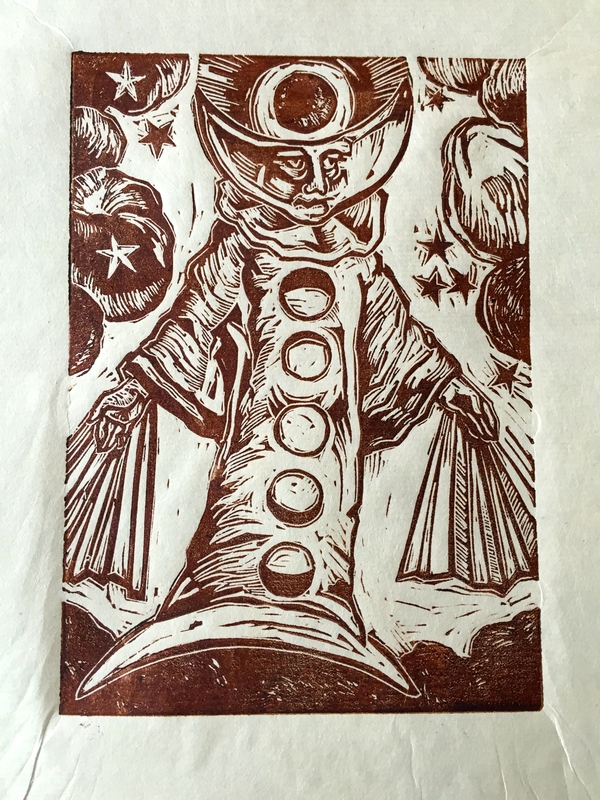 So to honor the occasion I’ve put together a new relief print, Mater eius Luna, The Mother of the Moon. My desire was to capture the stages of the Moon in one image, that her stance is typically Marian is a happy accident. 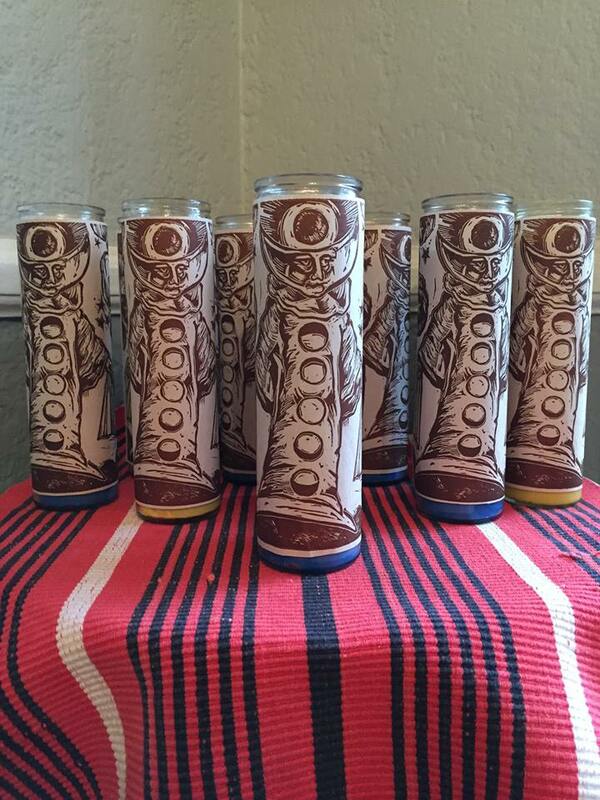 I’m invited to a New Moon party this Tuesday, I’m bringing light by means of lunar inspired candles. 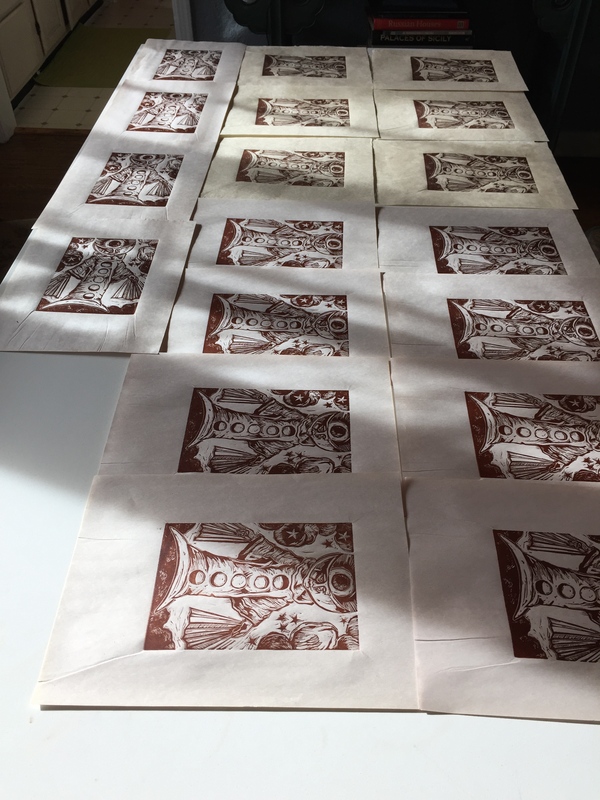 The printed images awaiting to be glued upon the blank votives,thinking an even dozen. Wishing all a happy New Moon, it also happens to be my mother’s birthday on the 20th, so happy birthday to Mater.